I’ve never pattern tested before because I like to limit my “deadline sewing” as much as possible. Sewing with the pressure of a due date takes the fun out of the craft for me, so, with the exception of being an ambassador for The Fabric Store and sewing up holiday gifts for others, I just don’t do it very often. 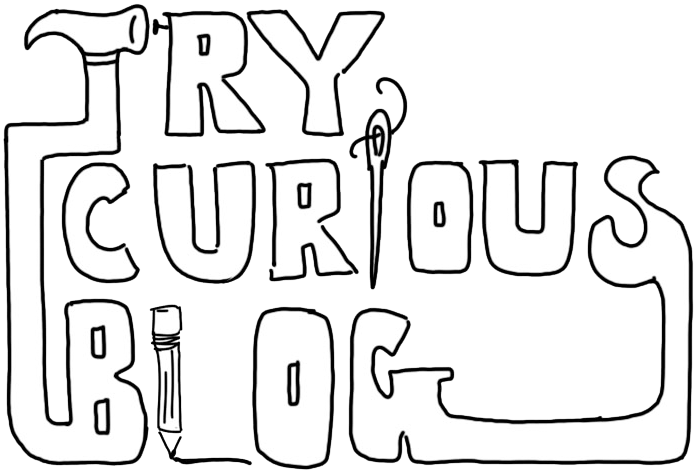 However, sometimes my trycuriosity gets the better of me and I will say yes to things I haven’t done before so I can at least have the experience under my belt and know whether I like something or not based on knowledge instead of assumptions. When Alice & Co. reached out to me on IG and asked if I was interested in testing their new Intrepid Boiler jumpsuit pattern (how did they know I was on a major jumpsuit kick??? ), my instinct was to say no, but then I saw an image of the design. 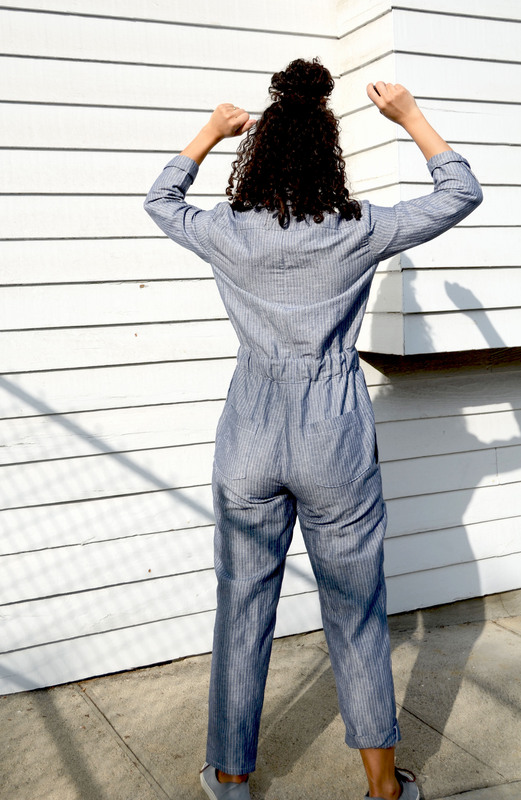 It was essentially the Madewell one-piece that inspired this jumpsuit, the one I saw Heather Lou in, fell in love with, and then consequently tumbled down a jumpsuit rabbithole in an attempt to recreate it! 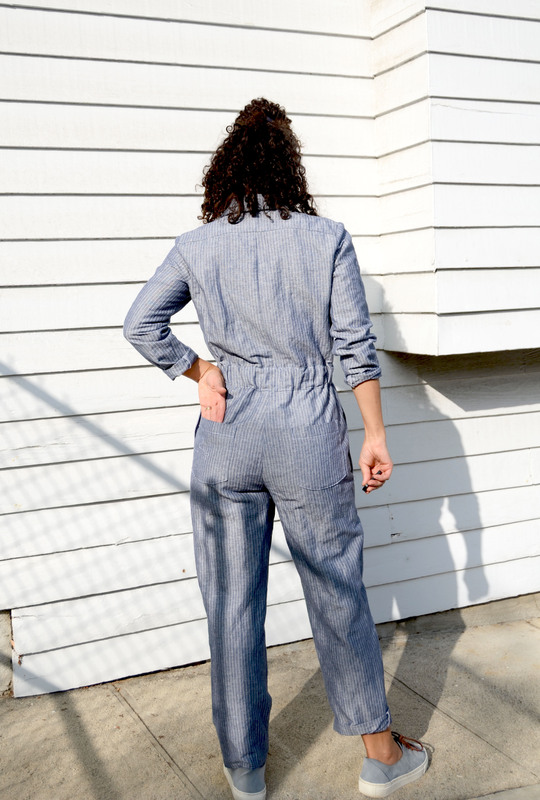 If you read that blog post you’ll know that I diverged from my original inspo and, while I love where I landed, it’s different from the utilitarian, no-frills jumpsuit that first caught my eye. Well, surprisingly, the Boiler Jumpsuit ended up being the answer I needed all along! And now I am glad I didn’t waste too much time trying to cobble together a pattern for it because this one is surely better than what I would have been able to hack. This jumpsuit was a relatively simple make, although there are of course some changes that have been made since the tester versions went out. I think the majority of the changes address design details as opposed to fit details, and my jumpsuit fit really well right off the bat. The tester pattern was comprised of sleeves, a yoke, front/ back bodice, pant legs and pockets, and the waistlines of the bodice and pant legs have extra seam allowance included so that you can baste the pieces together and decide how much or how little room you need for comfortable bending and moving around. You know how some indie pants patterns give an inch of seam allowance at the side seams so that you can adjust as needed throughout the hips and leg area? 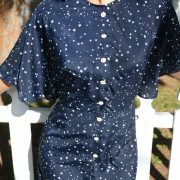 Well this pattern allows you do that when connecting the top and bottom of the jumpsuit and it is super helpful to have included. Since the general fit of the jumpsuit is loose, the length through the torso and waist was the only area I needed to adjust, and the extra seam allowance makes this very straightforward and efficient. I was surprised to see that there were no side, slant or patch pockets included in the tester design, and I had no idea how much I was going to miss them til the whole garment was completed and I tried it on and realized that my hands were aching to be jammed into something (that’s what she said); the jumpsuit is just so functional looking and utilitarian that to wear it without pockets felt wrong- where will I put my tools? My candy cigarettes? My lovenotes?? So I went back and added patch pockets to the front legs of mine after it was already finished, only because they were simpler and quicker than taking the legs and waistband apart and drafting a whole pocket. I think the patch pockets work fine on this (I used the pattern pieces from my Madewell hack) but a regular side seam pocket would be great, too. Unfortunately I can’t speak much on how well the instructions are written because the ones for the tester version were sparse in a couple of places and they said they added more information but I’m not quite sure what they look like; I used the burrito method when attaching my yoke to the bodice pieces (they used a different method in the instructions) and unfortunately they left out the zipper installation instructions for the tester pattern (which they said will also be included in the finalized pattern). The zipper is where my only real issue with this pattern came into play. There was literally nothing about how to attach the zipper to the front pieces, so when I came to that part of the construction I decided to forgo the zipper altogether. The front zipper was my least favorite part of the jumpsuit design, only because, at least for the tester version, there was no hidden placket or flap to conceal it, so it was just a big zipper going from crotch to neck. As I’ve said, I love how practical this garment is, but I felt like the zipper made it look a bit too simple or costumey- for me it was just missing some element of sophistication. I decided at the last minute to draft some front facings to each bodice piece so that I could fold them in and use snaps to close the garment up instead of the zipper. I wish I had taken better notes on how to achieve this look because, although Alice & Co. loved my finished jumpsuit and told us testers that they were going to include some button/snap placket options to include with the zipper, I just found out that they thought the placket was “too complicated” to include in the pattern and they decided not to add the option after all. I beg to differ on this point since I was able to figure the placket out on my own and I am by no means a designer- I think that with the proper instructions, a beginning sewist could just as easily create a beautiful placket as they could a front zipper, there are just more steps. 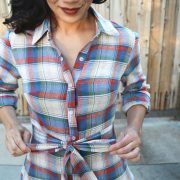 I must admit, I was disappointed to find that they were leaving the placket option out of the pattern because they seemed so excited about it at first and it felt like my most significant contribution as a pattern tester. But then this morning they sent me an email saying that they might offer the plackets as a hack to be released in the coming weeks, so I will keep my fingers crossed that they offer that option up to future makers of the pattern. I can’t remember exactly what I did to create my front button plackets but it wasn’t very scientific anyways. 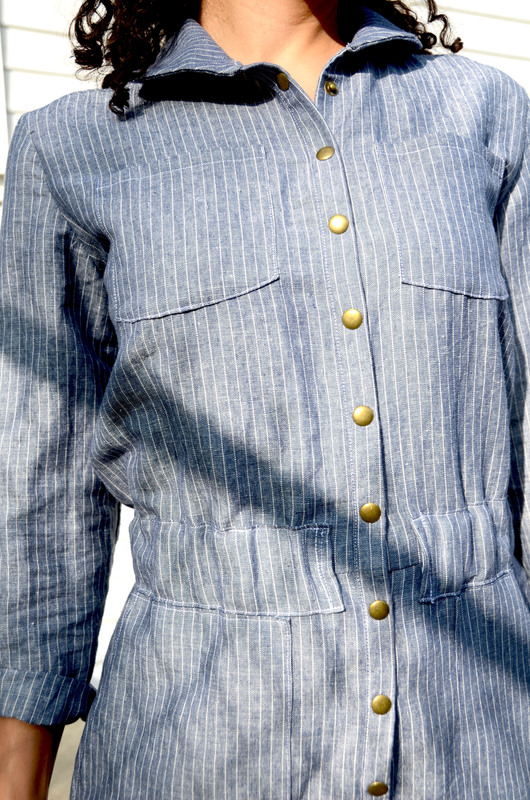 I modeled it after another jumpsuit I made (hasn’t made it to the blog yet) which has a front button placket. Essentially I drafted two facings for each side of the bodice that extended from the crotch to the neckline which were about 4 inches wide, interfaced them, sewed them to the bodice front edges, then I understitched them. Because these pieces were not drafted and taken into account from the beginning of the make, they aren’t lined up perfectly in the center of the jumpsuit, and the overlap of the bodice fronts is pretty narrow- there is only like an inch or so of overlapping fabric underneath the snaps, but it was still plenty of room for me to attach them. If I had known I wanted to add these plackets from the beginning of the make, I would have extended the front bodice edges out a couple of inches so that they overlapped instead of met at the center (a zipper means each edge will meet together roughly in the center, with the zipper taking up a little bit of space, but for a placket, the pieces are drafted to be wider so that they can overlap, if that makes sense- you need the right and left front bodice edges to sit on top of each other so that a button or snap can be attached to both pieces of fabric and connected). On the bottom of the crotch, after snipping into the seam line to allow the facings to be tacked down to one side, I topstitched the edge of the placket onto the front of the pants to keep it in place. I also extended the collar just a bit to accommodate the adjusted neckline. Lastly, I extended the waist band pieces further towards the front center of the jumpsuit and I inserted a length of elastic inside it and sewed it down on the fronts and side seams. 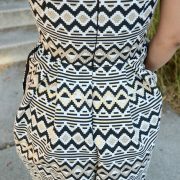 I knew I would never style this jumpsuit with a belt the way that the pattern photo showed, but I also knew I didn’t want the waist to be totally loose around my body, since there is a a lot of ease drafted into the pattern. I left the elastic pretty loose so it doesn’t hug my waist but it cinches in enough to make me feel like I am not wearing a tent. Aside from shortening the lengths of the sleeves and pants legs to fit my petite frame, those are the major adjustments I made to the pattern. All in all, I really love how this jumpsuit came out and I think it’s a dead ringer for the original Madewell jumpsuit (above) that I fell in love with, except this one actually fits me. My favorite thing about the design of this garment (besides the great drafting) is the collar- it’s a very simple one-piece collar, nothing particularly special about it, but I think it works so well on these coveralls, and I wish I had made my dusty rose jumpsuit with this collar instead- next time! As for whether or not I will ever pattern test again? Who knows! Maybe if it’s for a design I am super excited about, like this one, or a pattern company I love. Alice & Co. was friendly and gracious throughout the process, and despite my disappointment about them not offering more options for the final version, I think the jumpsuit is a great pattern and will be fun for beginning and intermediate sewists alike. 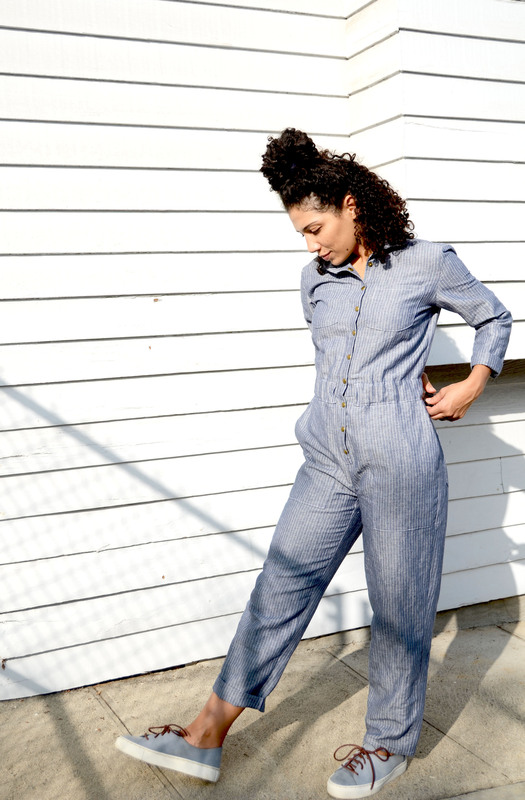 The real question is… has my my thirst for jumpsuits finally been quenched?! A very thoughtful review. 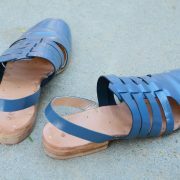 They are lucky to have a pattern tester like you. You really go the extra mile! Just downloaded this pattern and starting to gather “data” from makers about what worked and didn’t work. 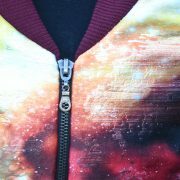 LOVE your test pattern and your innovation with snaps and plackets versus just a zip. Thanks for the insight and the information! Awesome! Thanks so much! Alice & Co said that their button band hack was coming out very soon, so keep your eyes peeled! Your sewing skills are remarkable! 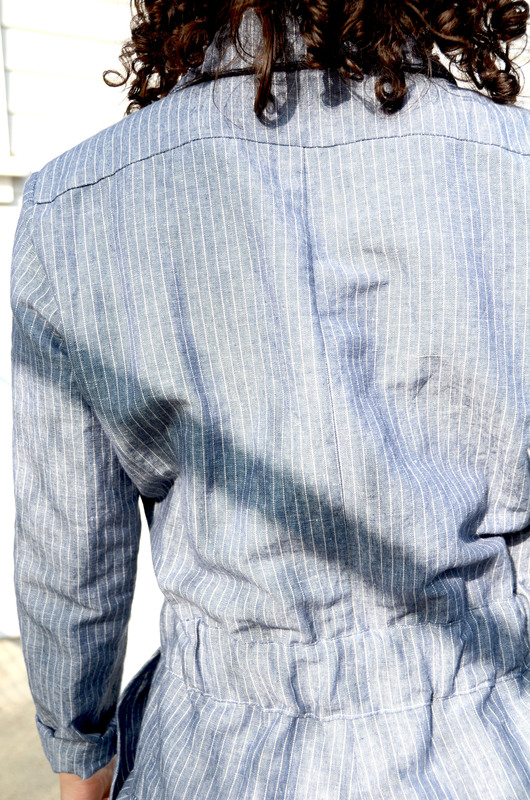 Love the striped linen material, color and your stripes match perfectly. Well done! adding the placket for the naps, clever idea. I know the material was gifted; however, any idea has to the weight of the linen? What to make with linen, not sure what weight to use. Thanks for sharing. Your jumpsuit is an inspiration. It should be any weight of fabric that you would feel comfortable wearing pants in. I’m completely blown away! Google randomly pointed me to this sewing review and I immediately flipped when I realized who you are!! I loved your voice work (is that how to describe that? ) in Alice Isn’t Dead!! ❤️ AND you sew?! Love it. Lovely pattern, great review.